Description: The Harris Center for Conservation Education is dedicated to promoting understanding and respect for our natural environment through education, direct protection and stewardship of the region’s natural resources, conservation research, and programs that encourage active participation in the great outdoors. Description: Antioch’s Monadnock Ecological Research and Education project conducts long term ecological monitoring on Mount Monadnock to observe and report the effects of regional climate change, and presents environmental educational programming on the mountain about the effects climate change (and other human impacts) on alpine flora and fauna. Description: With locally-grown food at the heart of all they do, the Cornucopia Project helps to build strong, healthy communities by developing and delivering agriculture-based edible education programs to children as they grow. These education programs include school gardens where they support elementary grade science goals with hands-on, garden-based curriculum that connects kids to where their food comes from. They also offer youth cooking classes and a farm to fork high school agriculture program. Description: Farmer John's Plot is a nonprofit that is based in Dublin, NH. They strive to provide nutrient dense, high quality, locally grown produce to the community. One of their main goals is maintaining healthy soils through composting, using cover crops, crop rotation, and companion planting. The farm welcomes schools and classes to visit for a hands-on learning experience. 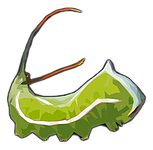 Description: The Caterpillar Lab fosters greater appreciation and care for the complexity and beauty of our local natural history through live caterpillar educational programs, research initiatives, and photography and film projects. They believe that an increased awareness of one’s local environment is the foundation on which healthy and responsible attitudes towards the broader natural systems of this world is built. Description: The Horatio Colony House Museum and Nature Preserve educates residents of and visitors to Keene about the social and natural history of the region through the story of the Colony family. An 1806 Federal style home with an antique collection and a 645-acre wildlife preserve are the focal points of exhibits, special programs, and place-based education partnerships with local PreK to grade 12 classrooms. 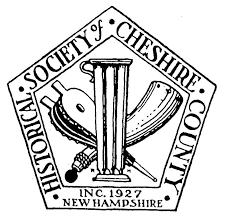 ​Description: The Historical Society of Cheshire County is dedicated to collecting, preserving, and communicating the history of Cheshire county. They work with local educational institutions to form partnerships in regional historical education. Description: Bonnyvale Environmental Education Center is located on a picturesque old farm in Brattleboro, VT. 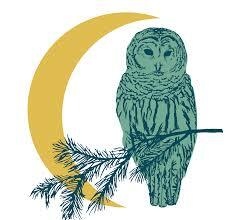 They focus on promoting ecological literacy and fostering a love of the natural world. They offer a variety of school programs, public programs, and teacher professional development. Description: The Children's Farm and Forest at Retreat Farm is a small nonprofit educational farm just outside of the heart of Brattleboro VT. Our mission is to connect a new generation of young people to the land and equip them with the skills, knowledge, and passion to tackle 21st century challenges. In addition to welcoming visitors of all ages to participate in the daily life of the farm, we offer engaging, place-based workshops to school groups and the general public. These include cider pressing, ice cream making, fiber arts, cheese making, anatomy of a cow, plant identification, and pollinator gardening. Our memberships allow for unlimited visits and are priced to be affordable for all families. Our school programs are aligned with the Next Generation Science Standards and the Common Core State Standards. Description: VINS school programs are focused on meeting the needs of teachers and students in science, inquiry and place-based education. They work closely with teachers in a collaborative approach that provides high quality professional development and an opportunity for VINS Science Educators to work directly with students. Their school programs provide resources and support for implementing engaging, hands-on science and place-based lessons aligned with the Next Generation Science Standards (NGSS) and the Common Core State Standards (CCSS). Description: Housed within a complex of old mill buildings in historic Turners Falls, Massachusetts, the Great Falls Discovery Center’s exhibits show the natural, cultural, and industrial history of the Connecticut River watershed. The Center’s four acres of native plants, butterfly gardens, and open lawn nestle into a bend in the Connecticut River to provide a pleasant, relaxed atmosphere and the perfect place for fun and learning. The websites listed below have information on place-based education events, local hiking trails, school gardening, and more. 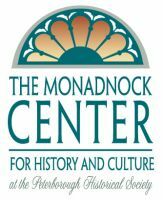 Do you know of another organization dedicated to place-based education in the Monadnock region that is not included on this list? Please let us know.